Gin fans will be excited to hear that the Bristol Gin Festival takes place at Paintworks on Saturday, May 16th and Sunday, May 17th. The UK’s biggest gin festival will have over 80 different gins on offer, along with talks from industry experts, live entertainment, food and more. At the time of writing, two of the three sessions had sold out, but the makers of Opihr Oriental Spiced Gin, Greenall’s The Original London Dry Gin, BLOOM Gin and Berkeley Square London Dry Gin have offered me a pair of tickets for each of the three sessions to give away: one pair for the 12-5pm slot on Saturday, one for the Saturday 6-11pm slot, and one for the 12-5pm slot on the Sunday. Each of the three winners will also receive a voucher for a complimentary bottle of Opihr Oriental Spiced Gin, which they can redeem at the Opihr stand. 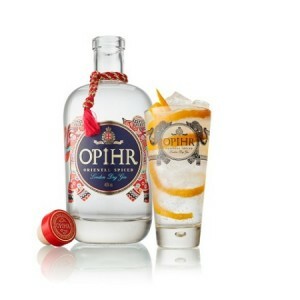 Opihr Oriental Spiced Gin is a unique style of London Dry Gin, created by the Master Gin Distiller at the world’s oldest gin distillery, using exotic botanicals, herbs and spices. It is stocked at Tesco, Morrison, Waitrose and Booths stores across the country, priced from £23. For your chance to win one of three pairs of tickets to the Bristol Gin Festival and a free bottle of Opihr Oriental Spiced Gin, simply fill in the form below. The competition will close at 5pm on Wednesday, May 13th, after which three winners will be chosen at random. The winners will then be notified by email, and their tickets and vouchers will be sent to them before the start of the first session on the Saturday.